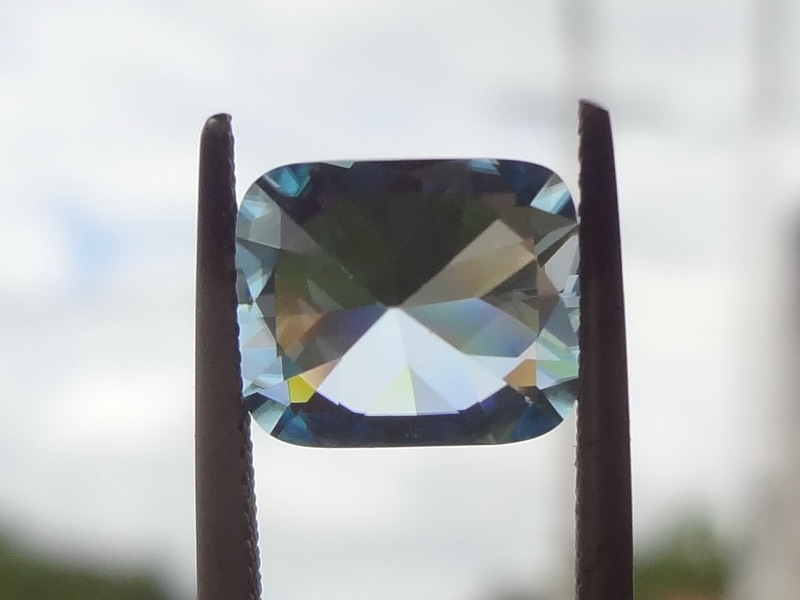 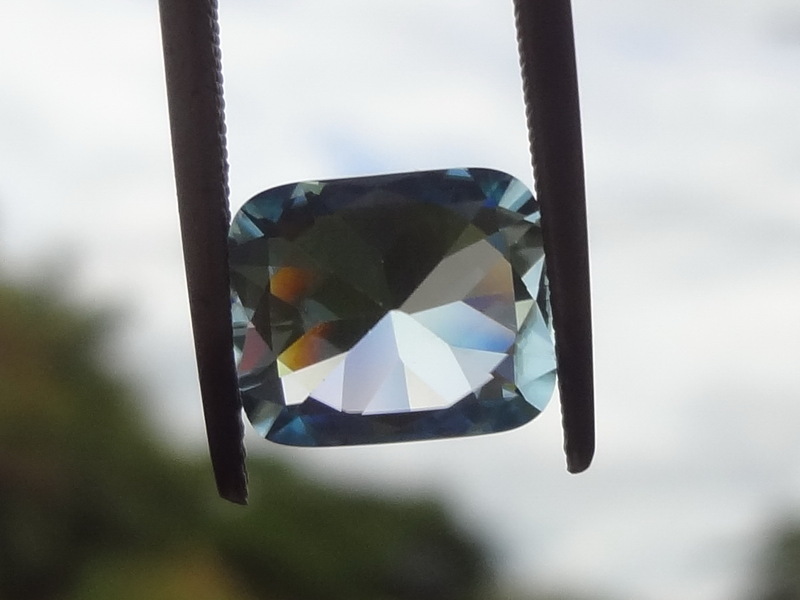 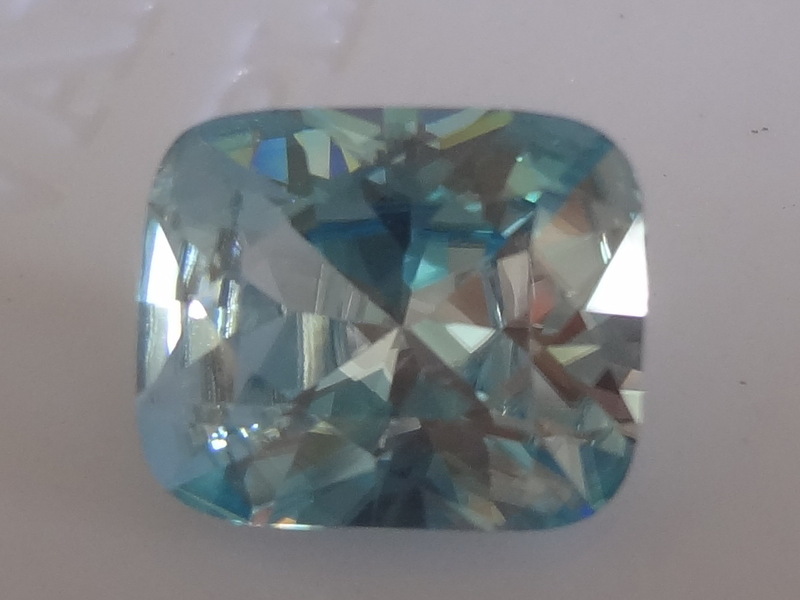 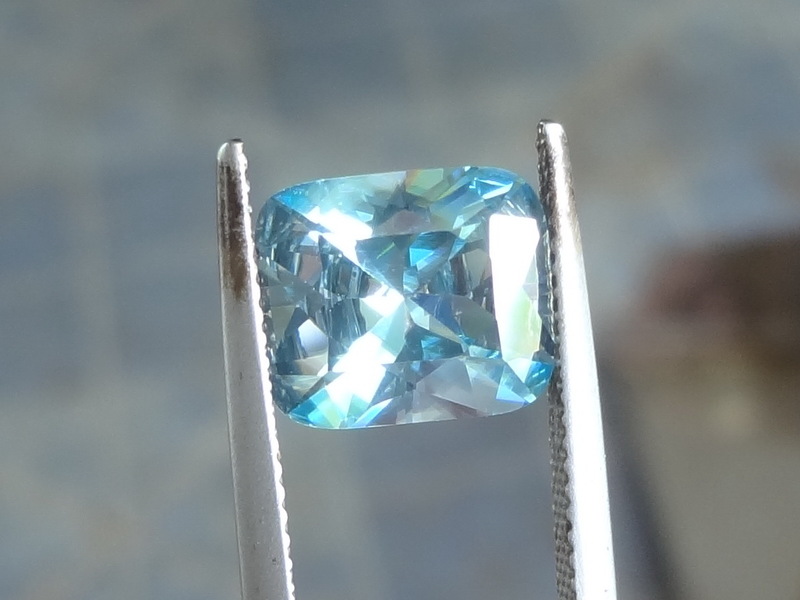 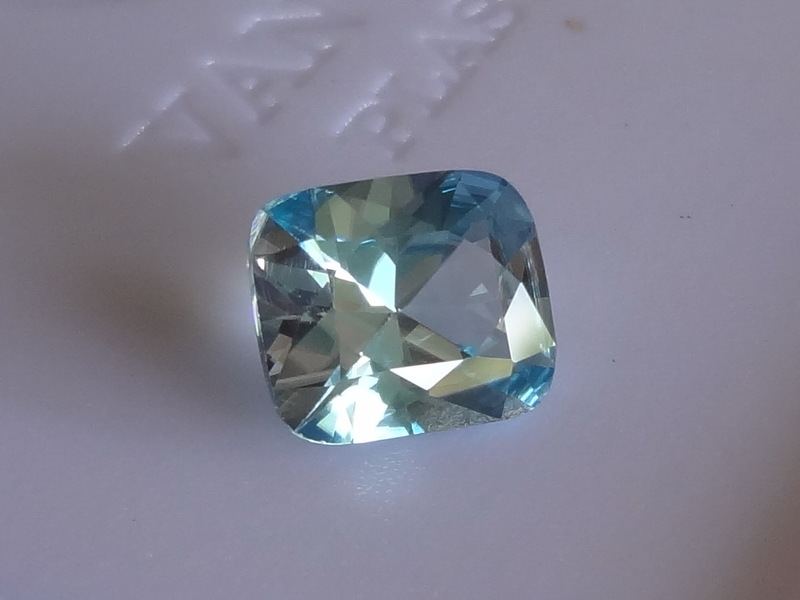 Top quality cut for this sky blue Zircon from Cambodia. 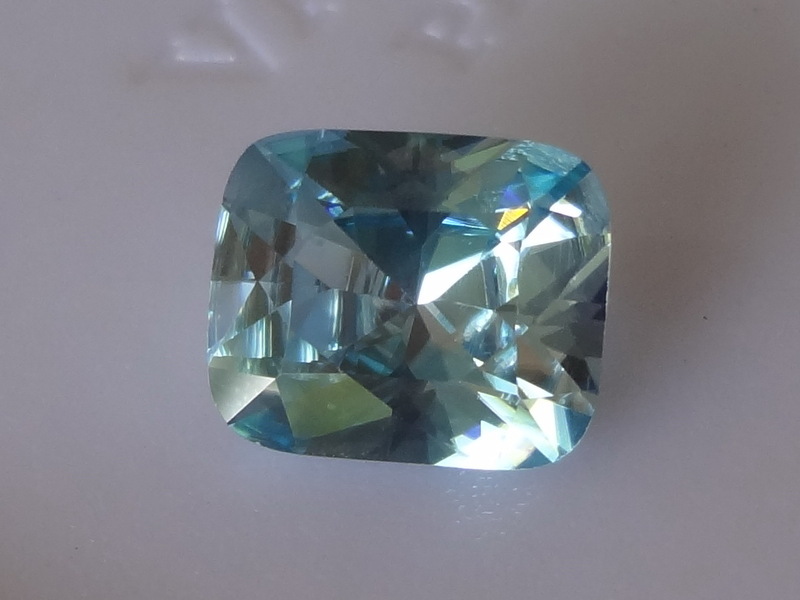 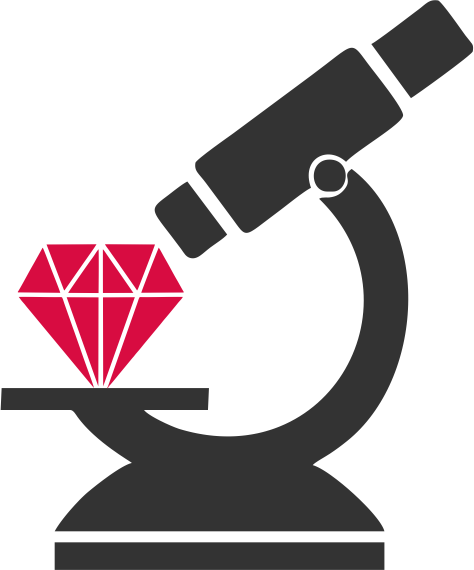 Cut with 1 step on the pavilion like a Diamond, this gemstone is very shiny and classy. 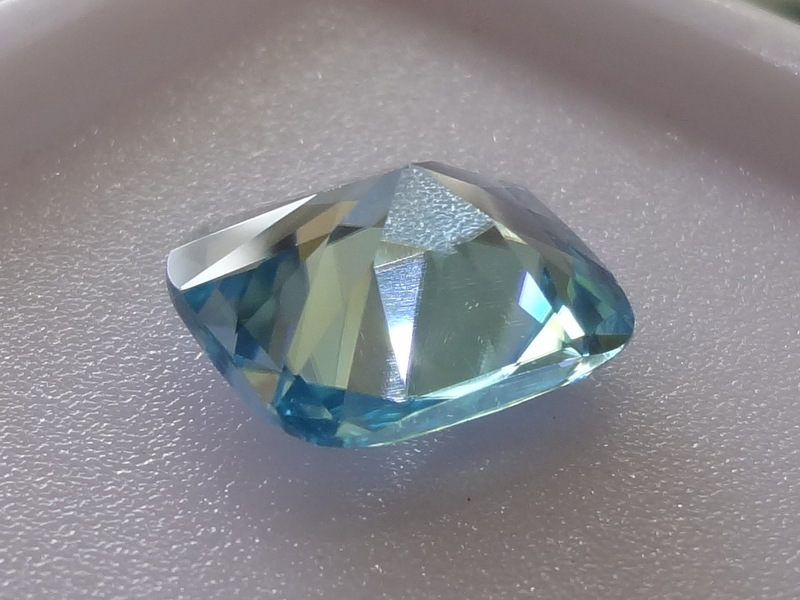 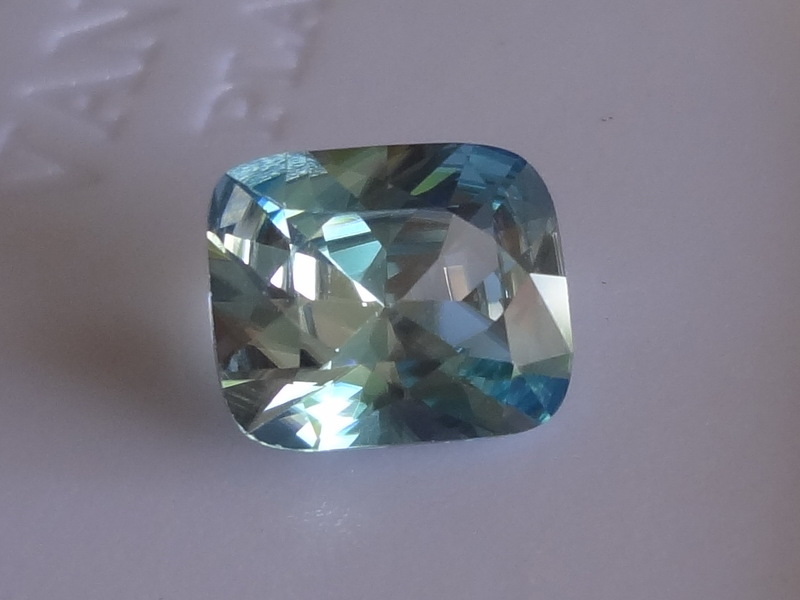 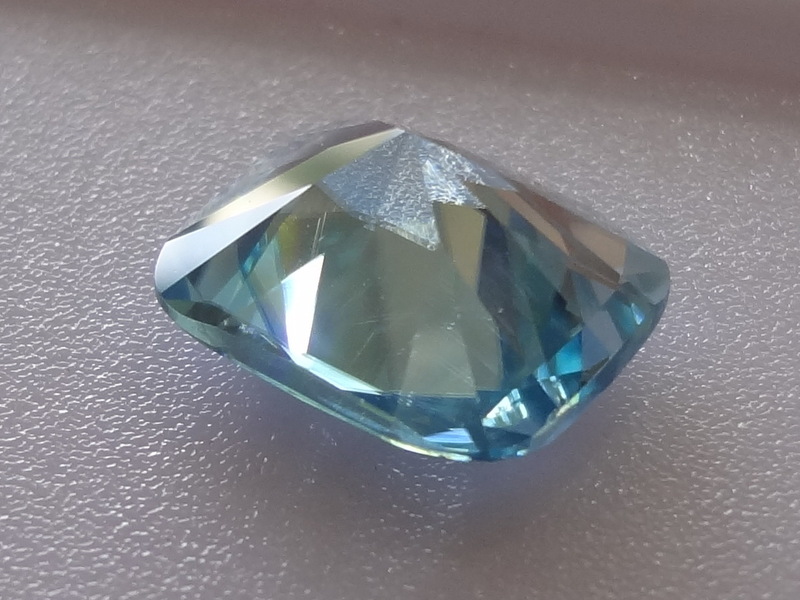 Please note that the gemstone is perfectly clean and light blue, other colors come from reflections of the surrounding area, mainly green trees.